We have recently expanded our team with 5 new key recruits to drive our growth. We can also tell you about some exciting expansion plans for the coming months! Our Exeter City Centre Salon, which is based at the end of Gandy Street, and directly opposite Bill’s restaurant aims to provide high end fashion service but in a relaxed and welcoming environment. 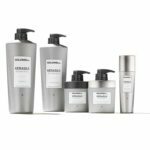 “We have found that customers want the very latest trends and fashion, but the experience has to be exceptional,” says partner salon owner; Nicky Mills. “Hiring the right staff is absolutely key to our future success.” says Nicky. Ross Anthony has joined the team as a Senior Stylist. Ross brings 6 years of hairdressing experience to the team. Ross, who is NVQ level 2 & 3 trained has been on many additional training courses including barbering, hair up, colour placement and Balayage. He is particularly skilled with colour and has been taking a lot of our Balayage and Colour Correction work. Dallas Waltham has also joined as a member of the Senior Stylist team. He is highly skilled with colouring and cutting and is incredibly attentive and personal to the needs of his clients. Dallas also brings extensive experience to the team having worked at salons such as Toni & Guy. He has is passionate about learning having recently completed his NVQ Level 3 with SAKS Education and has also completed a SAKS Latest Trends course in London. He has also attended a Keune colour course and the Goldwell Balayage training course. Dallas loves blow drying and that has been in the industry for an impressive 8 years. Faye Maggs has come on board with The Hair Boutique as a Stylist. Faye is currently working towards completing her NVQ level 3 but has already showed us that she is passionate, hard working and naturally skilled in the art of hairdressing. Charlotte Curtis has been bought in to manage the front desk and reception for the team. Having previously worked at David Lloyd for 7 years she is experienced with looking after customers and ensuring the are made to feel special at all times. Finally Tori Bearham has joined the team as the Finance & HR Director, who has a BA (Hons) University graduate in Business Studies & MAAT after completing the AAT qualification. For the past 7 years Tori has acted as Company Secretary for YMCA Plymouth reporting monthly to the Board of Directors, then progressing to Finance Manager. Going forward Tori plans to study CIMA and incorporate theory learning with implementation of the company’s growth strategy. These recent additions to the team brings them to 16, comprising of 10 stylists and 6 other key members. The Hair Boutique first opened it’s doors in February 2014. Starting off in a small basement salon in Gandy Street, they quickly grew and were soon looking for a larger space. In December 2015 they moved into the larger premises at the other end of Gandy Street; taking over from the previous owners; Regis. “Being closer to the High Street and having a larger space has a allowed us to grow our team, and also give a much more personal and professional experience to our clients,” Says Nicky. 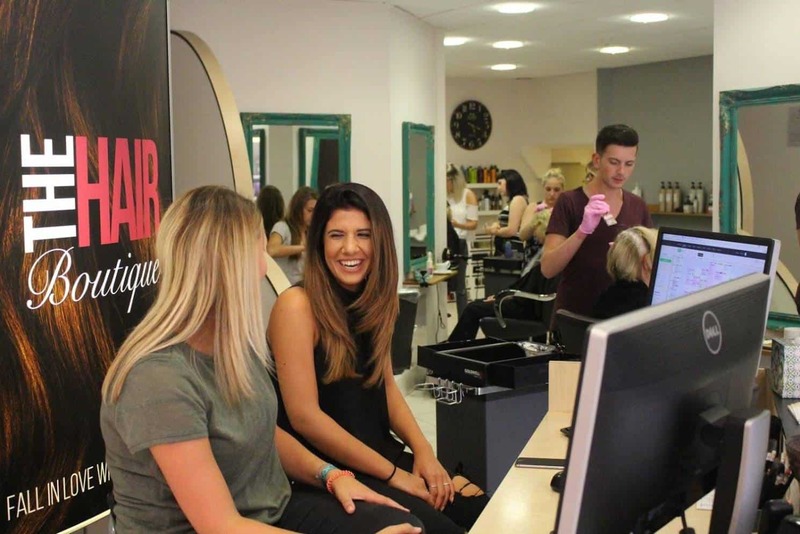 The Hair Boutique has plans to continue on their success with the opening of the second salon next year and a major refurbishment of the Exeter salon in January next year which will include a large glass frontage of the whole unit and a complete remodel of the interior.